The High Berg is one of the oldest volcanic mountain ranges on earth. What makes this range so unusual is that it was formed by volcanic fissure rather than the more common volcanic cone features one might find in a range like the Andes. If you know what to look for, the original fissure lines are very easy to spot, often being in almost perfect straight lines. 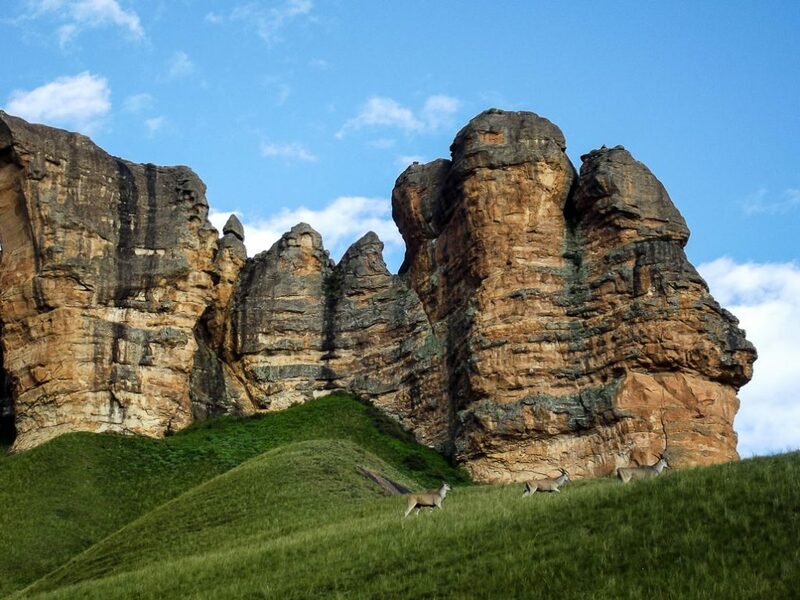 The High Berg range runs north to south from the region around Golden Gate National Park in the Free State to Lady Grey in the Eastern Cape. It is difficult to pinpoint the exact western end of the basalt range in Lesotho – but it extends close to the western border with South Africa. The Eastern edge is considerably easier to identify, being a point below the Gable on the Giants Castle ridge. The main range is split into three distinct ridges. The East and West ridges split in the Kgotjwane region near the northern end of the range. The East and Middle ridges split at the source of the Senqu/Orange River near the Mnweni Cutback on the KZN/Lesotho border. One of the main features of the range is the large number of caves. Most of these were formed by bubbles in the lava that were gradually eroded away, leaving a very convenient shelter, almost always with an amazing view. The bounds of the Little Berg depend largely on whose definition one looks at. 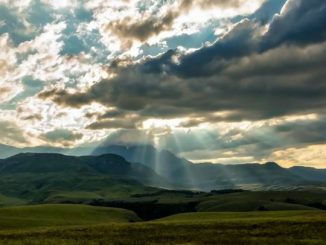 The range varies from the towering formations of the Southern KZN Drakensberg, to the fairly simple ridges of the Central KZN Drakensberg. Unlike the basalt range that includes a large number of rock climbing routes, the quality of the sandstone is very poor making climbing very dangerous. As a result of this, one can count the number of sandstone climbing routes on their fingers. The sandstone range also includes many caves, but most of them have been formed by water undercutting the rock. As a result, many of these are wet in summer. These caves range from the amazingly well sheltered, such as Tarn Cave in the Southern KZN Drakensberg, to very poor shelters such as Engagement Cave, also in the Southern KZN Drakensberg. The majority of the KZN Drakensberg is managed by Ezemvelo KZN Wildilfe. Permits are required, and are relatively inexpensive – especially if one considers that these include mountain rescue. The amaNgwane Tribal Authority manages the region between Mount Amery and the Ntonjelana Ridge, commonly known as “Mnweni”. 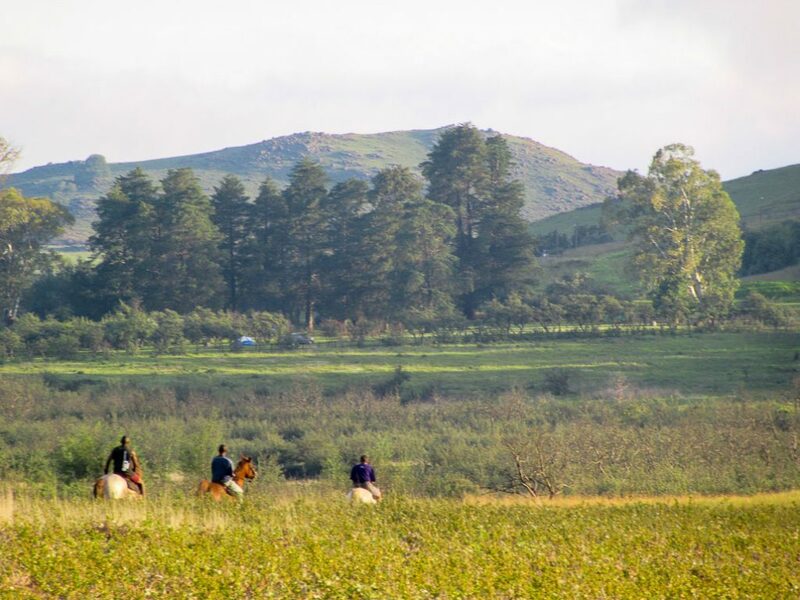 Fees for access to this land are paid at the Mnweni Cultural Centre. 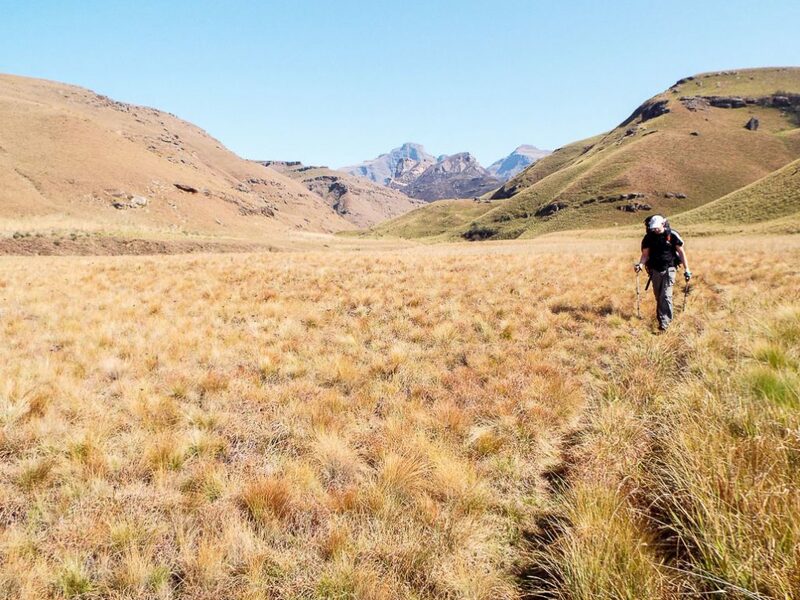 The Free State Drakensberg is generally accessed via Sentinel Car Park, where a fee is paid to the local tribal authority to cover maintenance of trails and roads. Access to the majority of the Lesotho, Free State and Eastern Cape mountains lacks a formal process. One can generally walk around without issue – but be aware that the land belongs to the people who live there, be respectful. 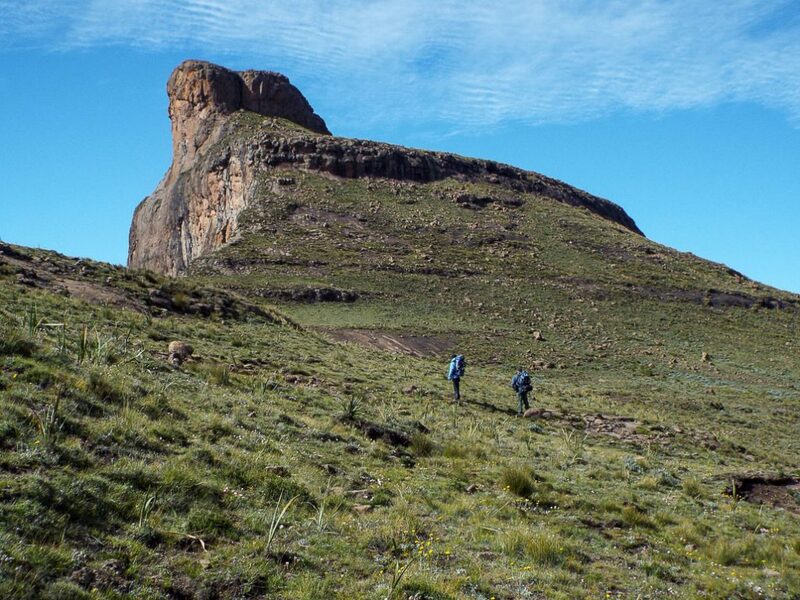 Trails in the Drakensberg vary from the very clear and well signposted – such as the trails of Giants Castle Nature Reserve, to various fictitious trails depicted on the map at Lotheni just south of there. Most trails in the Little Berg include erosion barriers – small wooden poles across the trail to direct water off the route and slow erosion. Some trails are sign posted, but not all are. As you get higher up, most trails become difficult to follow, if they don’t disappear entirely. Many trails that are marked on the map either don’t exist or are not where they are shown. 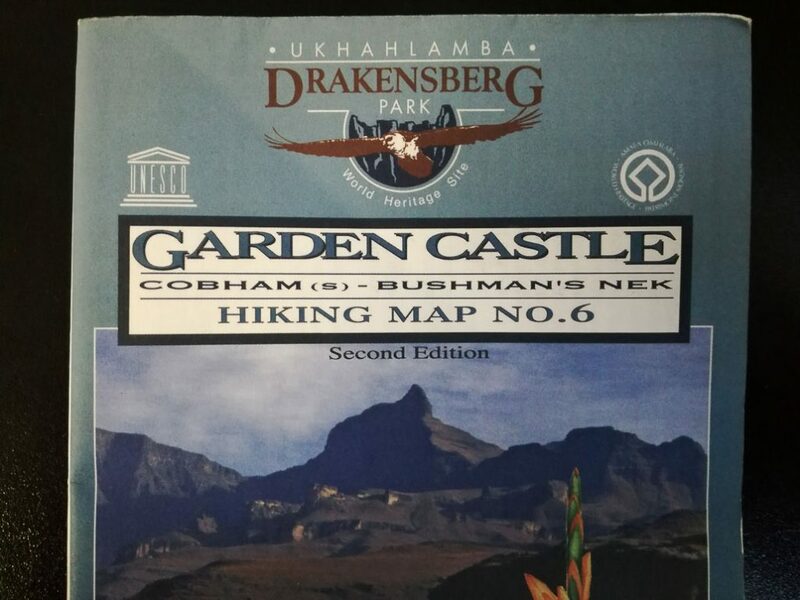 The maps of the KZN High Berg are available from most mountain shops, and are split into 6 maps covering the different regions. Maps of other region can be printed by a small number of map producers that have the Lesotho survey maps on file – although this is generally very expensive. 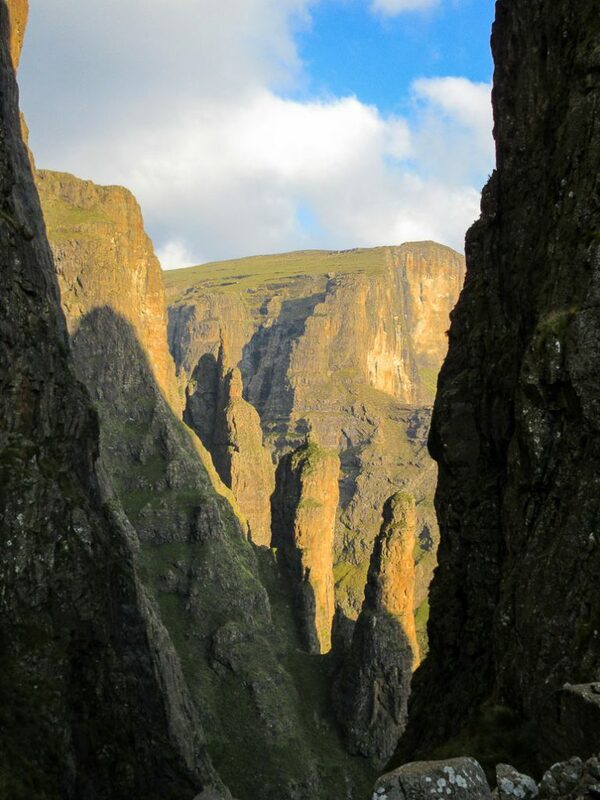 Hiking in the Drakensberg can range from the very tame short routes such as the River Walk at Giants Castle, to very difficult such as Pins Pass at Mnweni. Routes also differ greatly in technical difficulty, with routes such as Injisuthi Pass including technical rock climbing. Very easy – suitable for people with little or no fitness, such as the River Walk at Giants Castle. Easy – longer or steeper, but still doable by people with relatively little fitness. This includes routes such as Rainbow Gorge at Didima. Moderate – these routes generally include some vertical or substantial horizontal. Routes such as Bannerman Hut or the Giants Cup Trail fall into this category. Difficult – the harder Little Berg routes and easier passes fall into this category. These routes are usually fairly committed. Routes such as Langalibalele Pass and the Chain Ladders fall into this category. 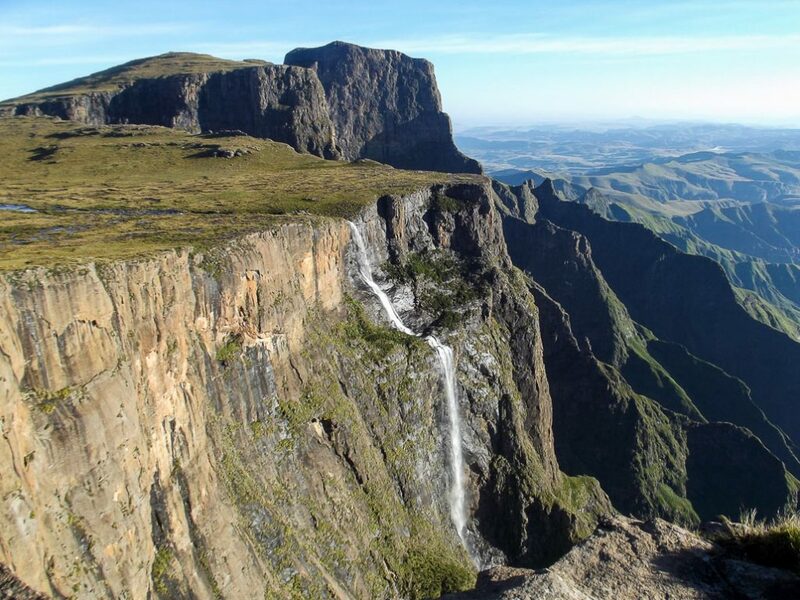 Extreme – the hardest hiking routes in the Drakensberg, including most routes to the top of the High Berg range. These routes are also graded out of 10. Don’t let the grade fool you, an easy extreme route is still an extreme route! These grades are designed for non-technical routes, aside from the occasional small scrambles. 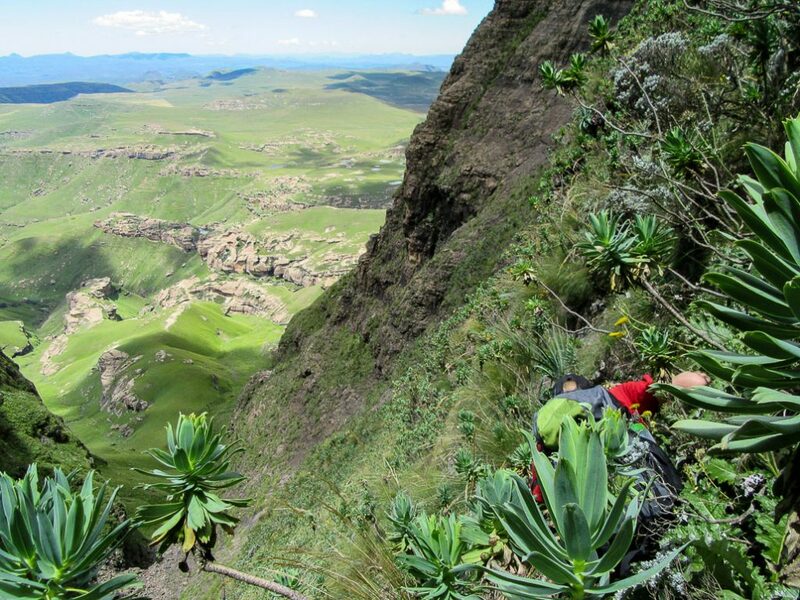 In the author’s opinion, Pins Pass is the hardest grass pass in the Drakensberg, and Stones Pass is the easiest pass warranting an Extreme rating. Accordingly, the sub-grades of 1 to 10 have been set according to these end points. rock – a pass where most parties are likely to need a rope to haul packs at at least one point on the route, such as Corner Pass. ROCK – a pass with difficult scrambles/technical climbing on it. Exposed – a route where a fall could have disastrous ramifications, and a fall is possible. Such routes include the Bell Traverse and Camel Pass. 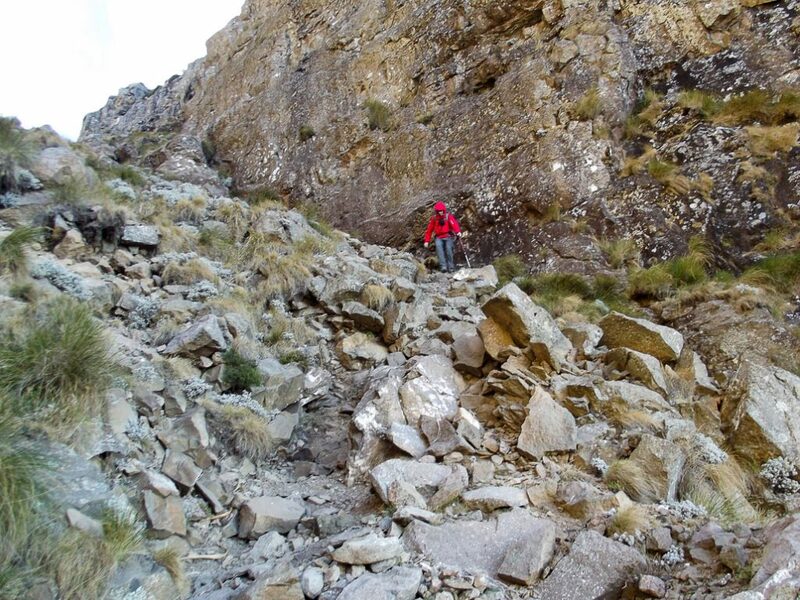 Loose – a route where the ground may be unstable, making risks such as sprains and rock falls an issue. Routes such as Minaret Pass fall into this category. 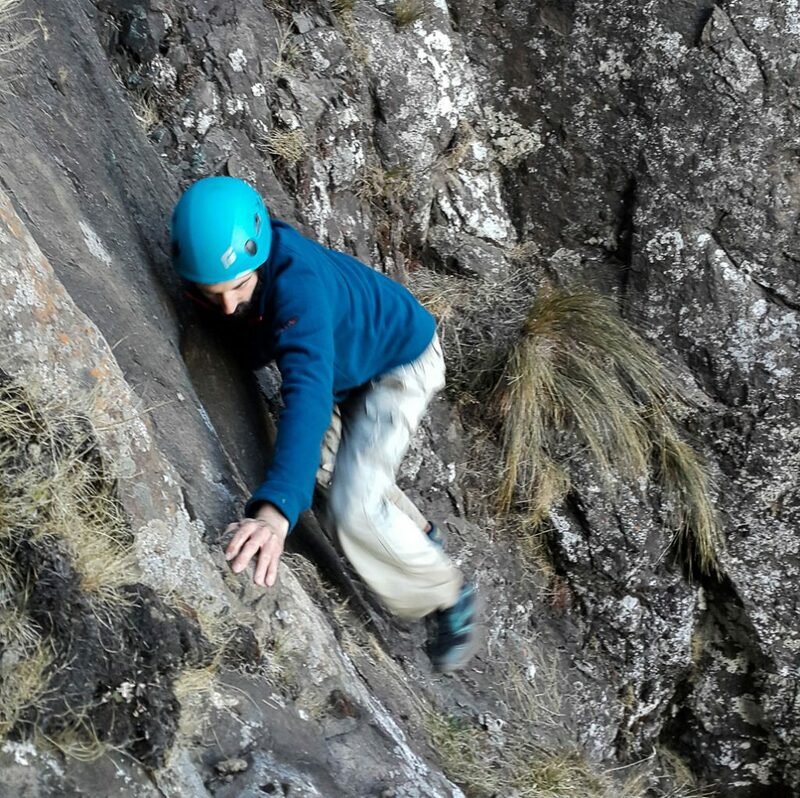 The Drakensberg comes with any number of activities – ranging from lounging around a hotel pool, cycling, hiking, rock climbing, ice climbing, tubing and a number of other activities. 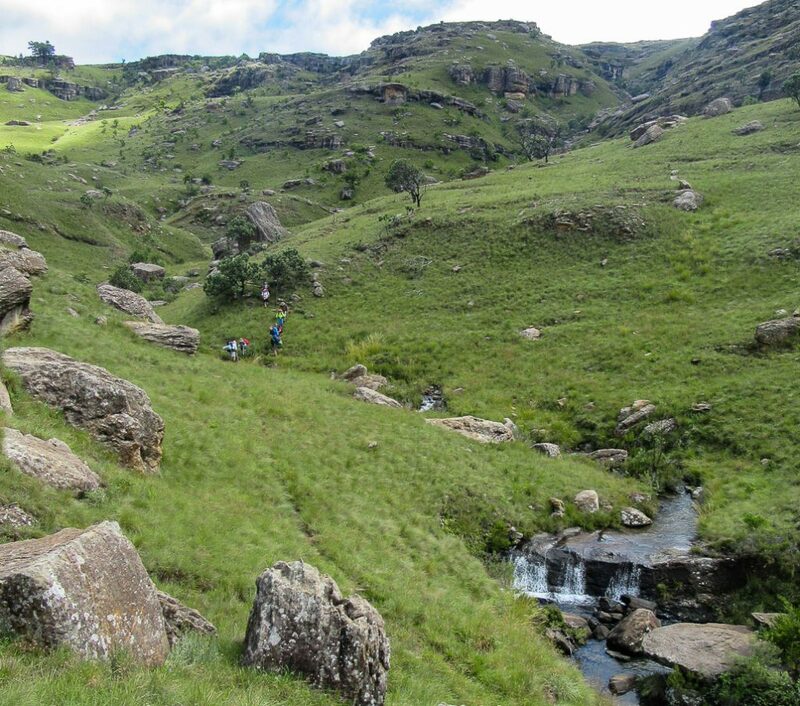 While easy hikes can be fun, especially if you have small children, the Drakensberg is home to some amazingly scenic and challenging hiking routes. 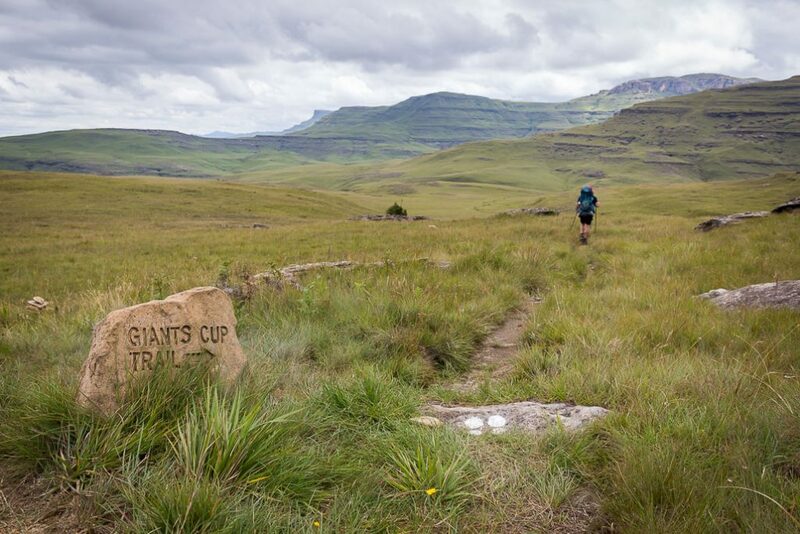 For those of good fitness that are starting out – the Giants Cup Trail provides an excellent route to enjoy scenery, rock pools, trail huts and creating memories with your friends and family. 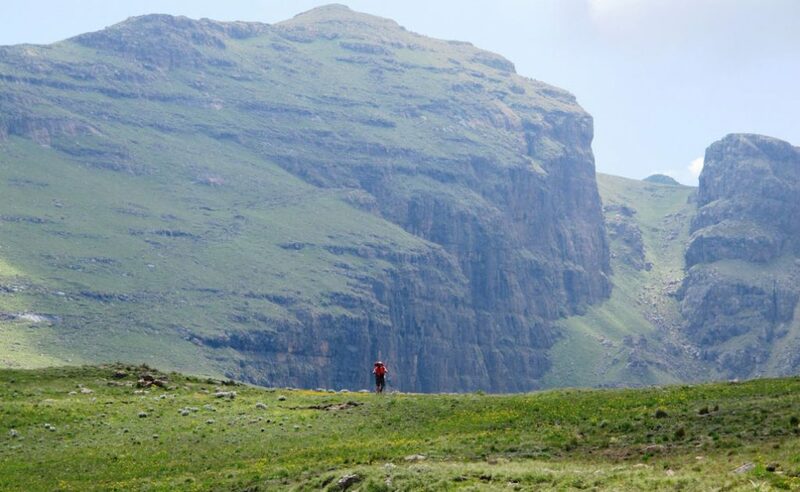 For those who are more serious, the Drakensberg has over 120 documented passes, ranging from “easy” to very difficult. 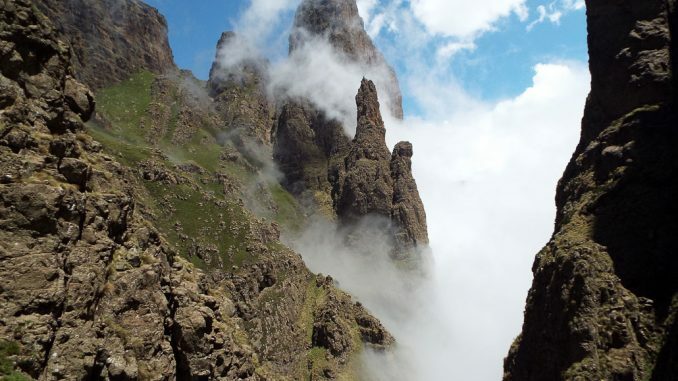 Much like the Scottish Munroes, the Drakensberg has “Khulus”. Depending on the list you use, there are 160 – 190 different khulus. You must cross the Tugela River above the falls. 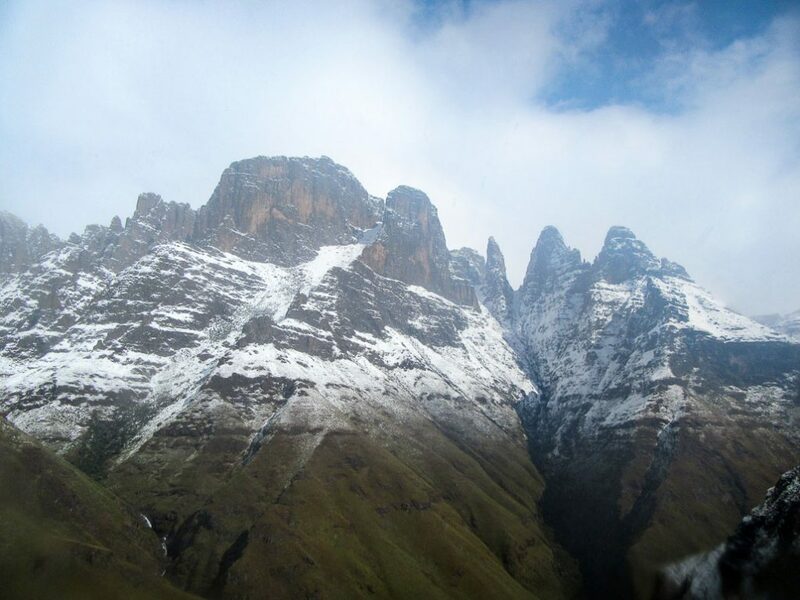 You must pass within 1km of Giants Castle, Long Wall Peak or Lotheni Peak. You must pass within 1km of Walkers Peak. Between these checkpoints, you may not drop below 2500m. Before setting out on a route, always sign the mountain register, even if it is a short walk. Always carry a fully charged phone with airtime and the emergency numbers. This phone should be left off to avoid running out of charge – if you need rescue, you will use a lot of your battery power! When you fill in the register at any Ezemvelo office, the register includes a tear-off slip that includes these numbers, while most offices include a sign with the forms. When you return from your hikes, don’t forget to sign out. Rescue is done on a volunteer basis by the Mountain Club of South Africa. These individuals train very hard to facilitate this. In the event of a serious injury or snake bite, it is best to call rescue as soon as possible. Even though the rescue teams are incredibly efficient, it still takes a substantial amount of time to reach a stranded team – so when you are certain you will need rescue, don’t put off the call. If you are uncertain what to do while waiting for the rescue team, don’t hesitate to ask. When calling rescue, make sure you have full details of what has happened and what is required. This includes details of the age of the injured party, the nature of the injury, how serious the condition is. The better informed the team is, the better the odds of a favourable outcome. Once you have called rescue, unless absolutely essential, don’t move from where you indicated you would be. Make yourselves as visible as possible so that the rescue team can find you. A space blanket tied to a trekking pole can be seen from quite a distance. When the team is close, begin to pack up your gear so that you don’t keep the rescue team waiting. While waiting for rescue, ensure that the injured person is kept warm and safe. If they are cold/hypothermic, a hot drink will do them a lot of good. Basic first aid is essential before heading to the mountains. The best first aid kit on earth is useless if you don’t know how to use it! Never leave your shoes/boots outside the tent. Always be friendly to the people you encounter on the routes – especially when camping in Lesotho. Remember that you are guests on their land. Most people living in the area, whether on top or below, are very friendly and are not tolerant of any form of theft. Most robberies/attacks are by passers through. Ridge, on the Mokhotlong, around the Yodeller’s Valley etc. Baboons are the most commonly encountered animals in the Drakensberg. NEVER FEED THEM! The baboons in the Northern Drakensberg are often fed by tourists, resulting in them being too comfortable around humans, and often stealing food from hikers and even opening car doors to look for food. As you head further south, the baboons are generally more scared of humans and are less of a concern. If baboons are looking threatening, keep your group close together, with any children in the middle, make yourselves look big and make a lot of loud laughing noises. Watch out for rocks dislodged from cliffs above you. Another culprit for stealing food are the crows. These animals are phenomenally intelligent and can even open a zip with their beak! Seriously – go and watch crows solving puzzles on YouTube, these animals are amazing! Fortunately, they only go for packs that are left unattended, so best not to leave your pack around. Sadly, so many snakes have been killed off in the mountains over the years that you are actually quite lucky if you see one these days. Snakes are an important part of the ecosystem of the mountains, and they will not attack you if they are not provoked. 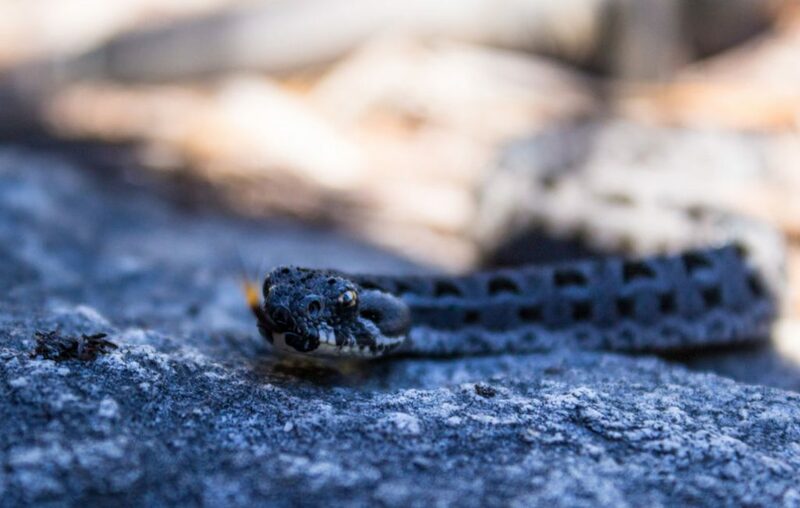 Make sure you can identify, at a minimum, a bergadder, puffadder and rhinkals – if you are bitten by a snake, your medical team will need to know what type it was so that they can treat you accordingly. If you have the presence of mind to get a photo of the snake that bit you, that helps a lot – but odds are you won’t. There has only been one recorded death from a snake bite in the Drakensberg, so it isn’t a major risk – but keep an eye out. The animal that scares me the most in the Drakensberg happens to be man’s best friend. A few hundred years ago, Swiss missionaries brought St Bernard dogs to the mountains, and their descendants live there to this day. 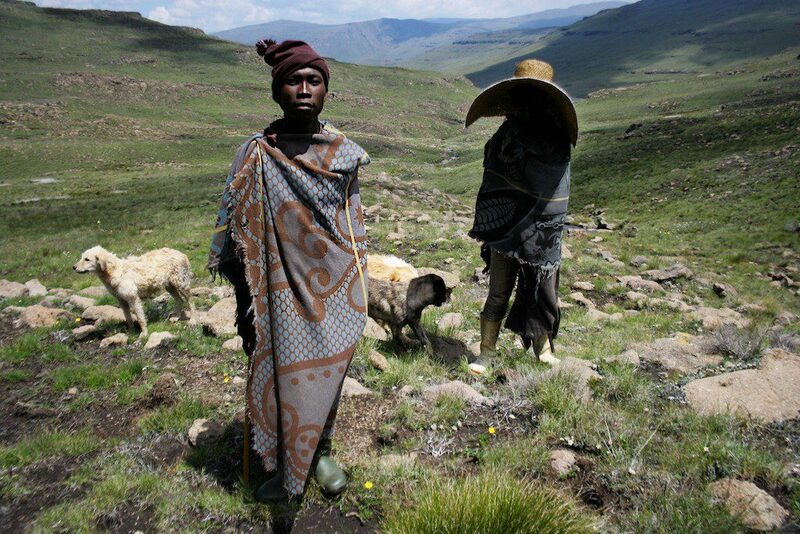 In Basotho culture, dogs are a very important part of life – for security, looking after livestock, hunting and various other reasons. These dogs are incredible territorial, and can be vicious. Some may also have rabies as they are never vaccinated, or given any of the shots that dogs in the cities receive. When the shepherds are with their dogs, the dogs are generally very gentle – but when left on their own, they can be deadly! The main dog-zones are south of Ndumeni Dome at Didima, the Yodeller’s Cascades and the Jarateng. In most instances, a kraal will have a few dogs guarding it, even if the shepherds are off on the hills tending their flocks, so be careful when you are near a kraal. It is also notable that these kraals are home for the shepherds, and much like you would not like an uninvited guest visiting your house, it is very rude to visit their homes uninvited – especially when they are not present. The top of the Drakensberg is commonly used for grazing land, so cattle, horses, sheep and goats are common. Eland and other buck are fairly common lower down as well. If you are very lucky, you might see a jackal, vulture or other wild animals that have sadly become very rare. Rumour has it that leopard have returned to the mountains after decades of going unseen – only time will tell if this is true! The Drakensberg is home to many unique and endangered species. The Bearded Vulture or Lammergeyer has come very close to extinction in the past and numbers continue to struggle. As drones interfere with the mating of these animals, they are strictly prohibited I’m the Drakensberg, including on the escarpment. The Drakensberg is home to some of the best quality river water on earth. This is mostly due to the lack of visitors and development in the region. Once you are above the campsites, and other developments, most river water is drinkable – barring a large group upstream or a number of animals. The most important part of keeping this water clean relates to “mountain ablutions”. When you “have to go”, never go within 20m of any watercourse. Bury any waste and the accompanying toilet paper so that it is not visible, and never “go” within 5m of the trail. For washing yourself, if you use soap, make sure you collect water and wash at least 5m away from the river. Always drink upstream of camp! Fires are strictly prohibited – be it a candle or any other form of fire. Littering is never acceptable. As the old saying goes “take only photos, leave only footprints”. Do your best to make sure that it won’t be obvious that you were there. Caves can be booked at most Ezemvelo offices. Escarpment caves, while often available for booking, are generally on a first-come-first-served basis. Don’t assume that having booked the cave means that you will have use of it – and remember that most offices will allow double-booking a cave, meaning that two groups of six may be allowed to book the same twelve sleeper cave. Not all caves are available for booking – Rolands Cave at Didima being a classic example of an “unmarked” cave that is hardly a secret! The most important rule of gear is to know what it is used for. You can download tons of gear lists online, and eight hikes later you are still not sure why you are carrying that 12m rope – perhaps it is a clothes line for the cave! Think your route through properly beforehand – is there scrambling, might someone in the team be uncomfortable with this? A good raincoat – the combination of strong winds and a wet hiker leads to one getting very cold very quickly! A good raincoat is considerably cheaper than a coffin, so don’t mess around on this one! A first aid kit – at a minimum, antiseptic cream, some plasters and some bandages. Know how to treat different injuries. A map – even if you have a GPS with the track and maps loaded, never go hiking without the map. Sometimes technology fails. Also, don’t forget to carry spare batteries if you have a GPS. Food, with some spare in case you get stuck or are out for longer than planned. A fully charged phone with airtime and the rescue numbers saved. A headlamp with spare batteries. The above is far from complete – but these are the items that even the most devoted fast-and-light hikers will always carry. If you are sleeping in a tent, make sure it is a four-season tent. Being the most southern high mountain range on the continent, the Drakensberg gets some vicious winds. Some mornings are still and clear, and the wind comes out of nowhere. Very expensive expedition tents have been destroyed by these mountains – so don’t take this lightly! Any tent larger than a three-man tent is unlikely to cope up there due to its size and consequent larger surface area to be blasted. When it comes to hiking gear – and especially survival items such as sleeping bags – remember that the possible consequences of inadequate gear are massive. If you are unable/unwilling to buy adequate gear for what you are trying to do, it is best not to do it. The mountain isn’t going anywhere – you can go back next year! There is no such thing as the small berg! It has always been referred to as the Little berg. Also the grading systems are ones made up by the author and are not in common use. please explain what’s wrong with the grading system and suggest what should rather be used? the author’s suggested system seems clear and logical to me. Ah but that’s my point. It’s portrayed as “the” system. It’s not made clear that it is only a suggested system. Thank you for the correction “Anonymous”. 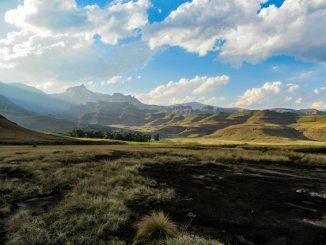 Regarding the grading system: We are aware of the fact that it is not in common use, but felt it applicable to add more clarity to the specific difficulties presented by the Drakensberg passes, seeing as almost all of them fall into the “Difficult” or “Extreme” category of effort required. We are not proposing that this be applied as a general grading system to any other hiking area. I’d prefer these comments to be private – I don’t want to detract from the article. So feel free to delete after reading. The technical names for the ranges are the “Sandstone Range” and the “Basalt Range”. High Berg vs Small Berg is colloquial, there is no “right” answer between small vs little. The rating system is specifically in the context of the into to the series of pass writeups. I am aware of 3 other Drakensberg pass rating systems. David Bristow’s book uses Easy, Moderate, Severe, Difficult, Extreme. Stijn Laenen’s writeups use a 1-10 difficulty rating, with up to 5 stars for quality, and Dave Gay’s writeups use Easy, Average and Difficult. I have devised this rating system based on the 84 High Berg passes I have done, noting that a pass like Corner Pass is easy, but does have a large scramble on it. Pins is very difficult, but not at all technical. So Corner is more technical than Pins, but Pins is considerably harder. My system is mostly based on the UK Rock Climbing grades which account for technical difficulty and other considerations such as bad quality rock or limited gear. Jonathan, I love what you’re doing here with the Drakensberg passes. Keep them coming. It has been applied to more than 50 trails in SA as well as abroad (Nepal, Peru, Swaziland, Namibia, St Helena, etc.) It is an easy to apply system and thoroughly tested in the physical sciences laboratory as well as in the field over a number of years. Pass difficulty rating will always be a subjective matter. To comparatively grade a route, one would have to have done a number of other routes graded by the same manner. I have personally only hiked one of the trails on that list – the Giants Cup Trail. By contrast, on Friday I completed my 90th different Drakensberg Pass. The grading system, which I devised myself, is based on a few other existing grading systems, and is specifically tailored to Drakensberg passes. 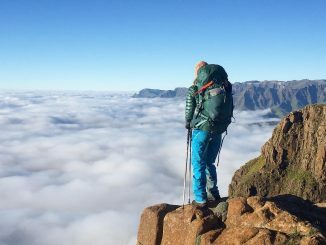 There is no suggestion that Pins Pass (graded an extreme 10/10) is the hardest walking route on earth – simply that it is the hardest Drakensberg pass that doesn’t require any scrambling. This is a conclusion based on a large amount of data collected, both by personally doing passes and by discussing routes with others. Of the roughly 150 different recorded Drakensberg passes, I have either first hand experience, or have discussed the route with someone who has completed it on at least 135 of them. 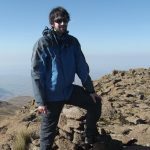 Obscure routes like Moriti Pass, or undocumented gullies with no recorded ascents are a matter of their own, but with coverage of roughly 90% of the documented routes, I would say I have sufficient information to draw a defensible conclusion. It is also notable that the amount of time required to do a route is a significant factor. For example – sticking with Pins Pass: when I did it, I left the Mnweni Cultural Centre (1250m) at 4AM and reached Pins Cave (at 3000m) at 7PM. I then finished the pass the next morning. Of my friends that have completed it, AP did it round trip in a day looped with another pass, SL did a day up to the top and across to Mponjwane Cave in a day, while TM did a day up to Chichi Bush Camp and spent a full day doing the pass (he was the only one on this list to carry a tent). Pack weight makes a huge difference to route difficulty, so a comparable scale would have to specify a configuration in terms of days, and thus would also necessarily specify a descent route. You are most welcome to run the numbers on all the passes and calculate a difficulty rating for each. It would be an interesting exercise to compare your results to mine. This topic is probably best discussed by a thread on the forum. Feel free to post the discussion and it can be opened up to the rest of the community. ‘Avoid camping south of Sani’ up until where? And if you really have to, where should you not camp in that region south of Sani? Immediately south of Sani – south of Hodgesons should be reasonable, although I am always a bit cautious when camping on the Pitsaneng River.